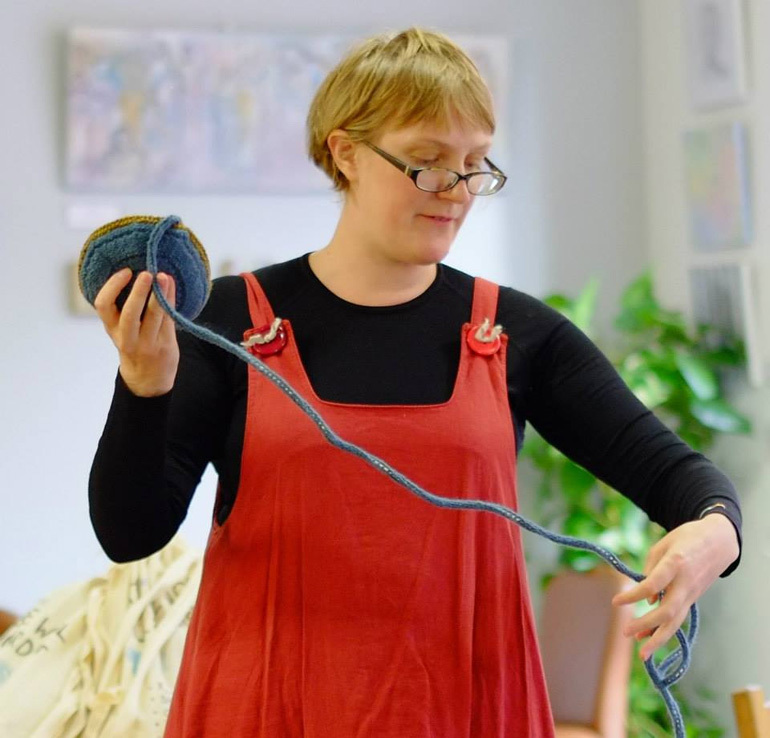 I am an artist and I work with wool and sounds. The obsession in combining these materials began in 2007 when I knitted a sound system and played the sounds of making my dinner through it. The speaker system was made of 32 miniature speakers, soldered together by me, and individually covered in knitting. From the moment I cast off, pressed play, and pushed a soft speaker playing sizzling onions to my ears, I knew I was on to something. I am interested in everyday things, women’s history and labour, and the home as a specific site of meaning. I explore these obsessions through recording, podcasting, hand-knitting, radio-making, dyeing, spinning, and writing.